‘Sun’s out, car criminals out’ – that’s not a well-known phrase, but it could be after a vehicle tracking company flagged the risks that arise when temperatures climb. 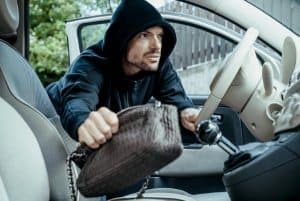 Cars can become four-wheeled ovens in the summer, but motorists should resist the temptation to leave windows open to avoid the danger of opportunistic thieves taking advantage of easy pickings. That’s the advice of stolen vehicle recovery firm Tracker’s head of police liaison Clive Wain. “This is normally an alert we issue to owners in the winter, when we typically see motorists leave their cars unattended whilst the heating defrosts windscreens on a frosty morning,” says Mr Wain. Almost half (47 per cent) of motorists admit to doing this and the soaring temperatures means people are being equally tempted to leave car windows open or leave them running unattended as the air con does its thing. “Whether your car is on a driveway, at the roadside or in any type of car park, never leave it unlocked and unattended with the keys in the ignition, as the unscrupulous can take just seconds to enter and make a getaway,” Mr Wain adds. He advises that even something as simple as leaving some sunglasses on a window sill or dashboard could be enough for a thief to strike. “Don’t let the heat get to your head; be extra vigilant and focus on security,” he goes on to say.